This is one of the wines that came too late to catch up with my faculties in the night of the Pitijopos and I really wanted to give it another shot. I have commented before on my predisposition against sweetened, blended wines – maybe a reaction to the sherry I get back home. but I had hopes for this one – it is 75% palomino (an old oloroso), 25% pedro ximenez (old again). It has been aged 15-20 years in botas of american oak. The colour is a dark, reddish amber, clear but not fully crystalline – a little thick looking. 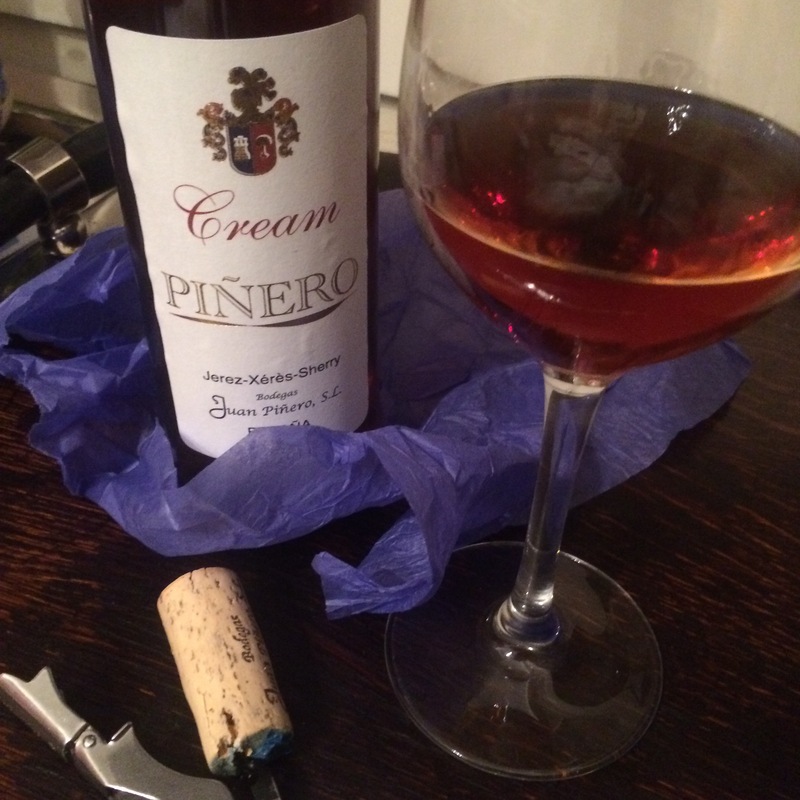 I don’t find it particularly intense in the nose, but there are definite nuts, toffee, citrus, wood, and wood polish/alcohol – the oloroso really makes its presence felt – and maybe just a bit of raisin in the background from the PX. On the palate there is more raisiny sweetness upfront, some dusty oloroso acidity then a long tail of black treacle/molasses. It reminds me a little of the Matusalem although less acidic, concentrated and astringent around the edges. More balanced, but still maybe a bit sweet for my tastes: the overall effect is black treacle or molasses, with maybe a bit of cedar. Very nice stuff – would be cracking with a cheesecake.